1. Trim any visible fat from steak. Combine cilantro and chili powder. Lightly cover steak with canola oil cooking spray and rub spice mixture over steak and let stand for 10 minutes. 2. Meanwhile, slice cauliflower into four thick slices. Cover slices with canola oil cooking spray and sprinkle with cumin and pepper. 3. Preheat grill to medium heat. On oil-sprayed grill, place cauliflower, turning occasionally for about 20 minutes or until tender crisp and golden. Remove to cutting board. Chop coarsely and place in bowl. 4. Increase grill to medium -high heat and grill steak for about 8 minutes, turning a couple of times until still pink inside (or grill until desired doneness). Remove to cutting board and let rest for 3 minutes before slicing thinly. 5. 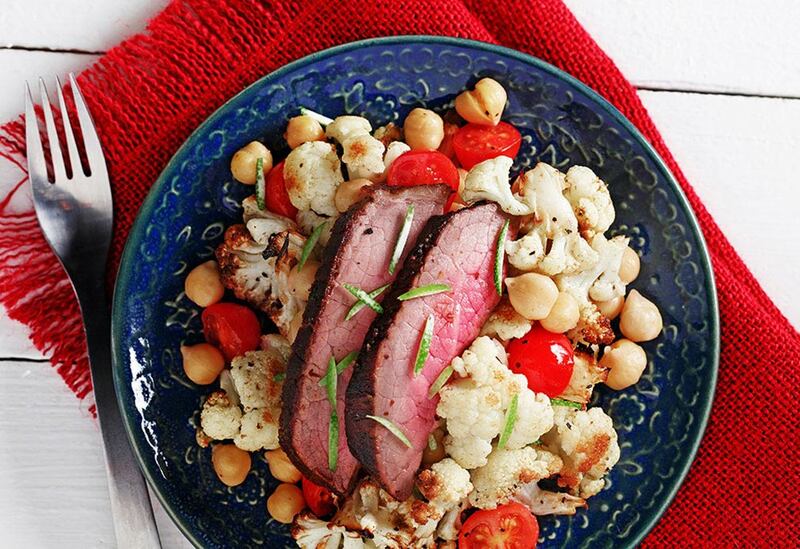 To cauliflower, add chickpeas and tomatoes. In another small bowl, whisk together canola oil, lime zest and juice. Drizzle over salad and toss to combine. Serve salad on plates and top with sliced steak. Ancient grains are so popular, but have you tried millet? 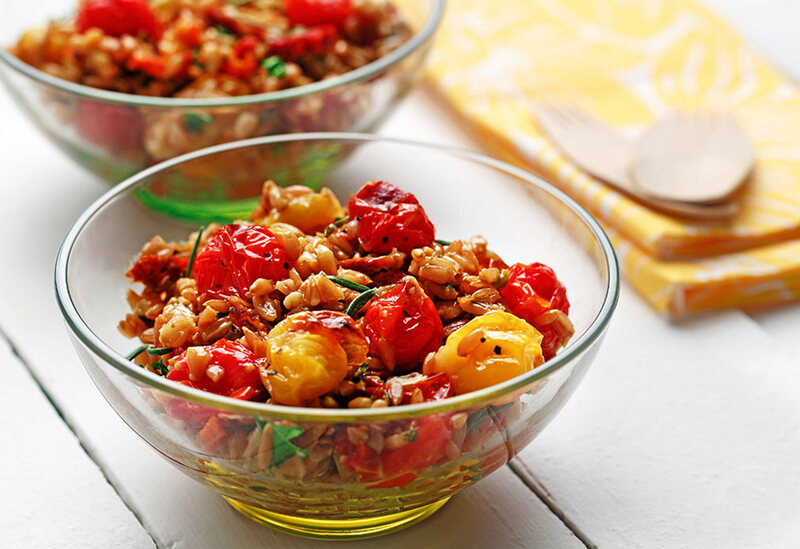 It’s similar to bulgur wheat in texture, but it’s gluten-free! This side dish can easily be served alongside your favorite roast or grilled chicken or fish. 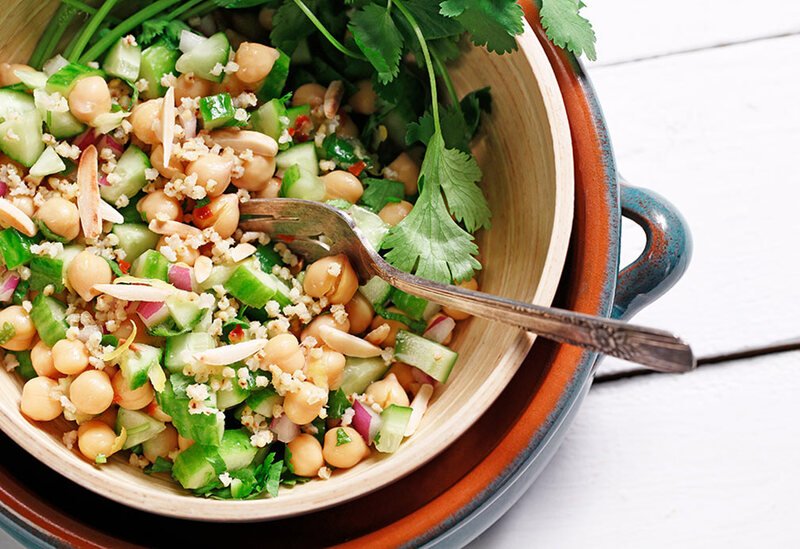 If you have leftovers, enjoy it cold with some cooked chickpeas or lentils for a hearty vegetarian meal. Just a bit of canola oil helps all the flavors meld. Falafel, crispy vegetarian patties made of chickpeas, garlic, onion and spices make an easy, inexpensive dinner or unique party food - serve small falafel balls with tzatziki for dipping. 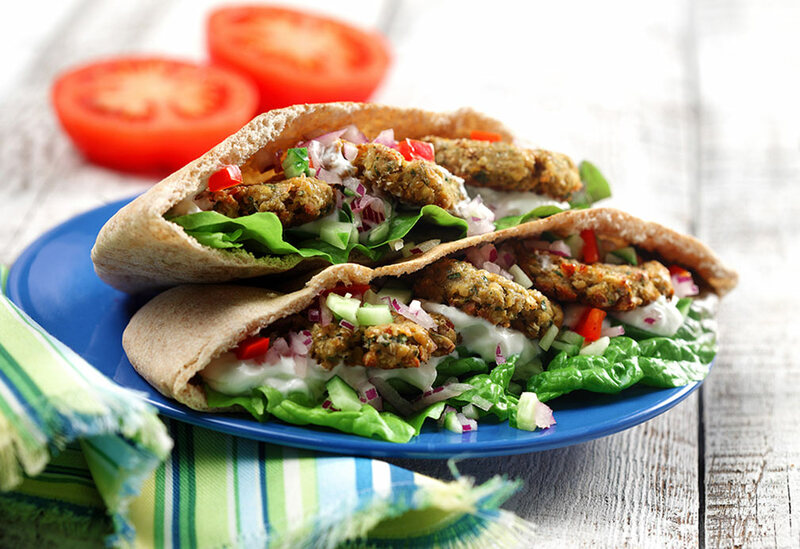 With its neutral flavor and high smoke point, canola oil is ideal for cooking falafel; traditionally theyre cooked in a hot skillet, but these are brushed with canola oil and roasted at a high heat, creating a crisp exterior.